Apple’s iCloud connects your iOS device to your Mac or Computer. Especially when using a Mac, all sorts of apps like Calendar, Photos or Notes. Since I switched from Android to an iPhone, I really love how all the different apps on my MacBook Pro sync with my phone: I can write shopping lists using notes, add events to my calendar and all the pictures I take are automatically synced to Photos. Android users are typically familiar with this with a small difference: Everything is usually browser based. This is great, as it doesn’t tie me to my Mac. It doesn’t matter if I do it on a Windows machine or my Mac. While I really enjoy the native app experience integrated into MacOSX, from time to time I need to access my iCloud data from a different computer. Luckily, iCloud offers a web client that I’ll quickly explain in the following. Apple offers different plans for iCloud, ranging from a free plan to $9.99 a month. The only difference between the different storage plans is basically the storage space offered. Free users get to experience the full iCloud service with 5GB storage space for photos, videos and other files. The next increments range from 50GB, 200GB to up to 1TB. Depending on your needs, you can change your subscription on a monthly basis and simply let it “grow” based on the amount of data in your iCloud. Access iCloud via your browser is really easy and convenient. You can basically do it with all modern browsers and it is not restricted to Mac OSX. Using the iCloud web interface, you can quickly access your notes, photos and everything else stored in iCloud from every computer. 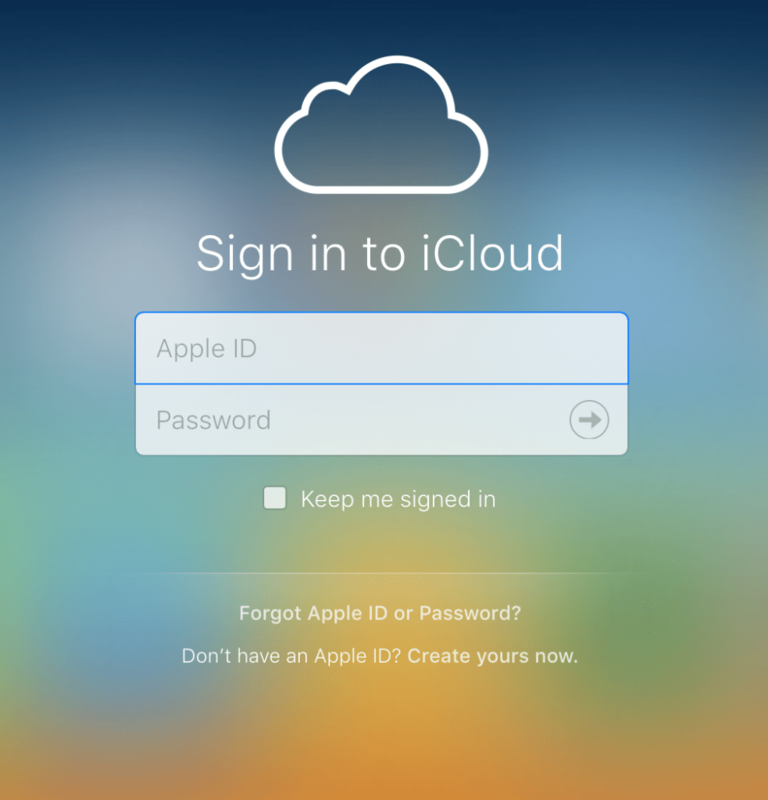 To use the iCloud Web Interface, you simply have to go to iCloud.com, log-in using your Apple account details and you’re good to go. Once you’re logged-in, you’ll see an interface familiar to your phone. You can access settings, your contacts, photos and many other things. It also offers to possibility to track your iOS device if you’ve lost it. You are, for instance, able to quickly access Keynote presentations that you created on your Mac using the browser. In fact, you’re even able to create new documents using the web interface. Next to access your iCloud storage, the web interface also offers a decent web based office suite, similar to Google Docs, Spreadsheets or Slides. All documents created in the web interface are automatically synced to your Mac or iOS mobile device. To access them, simply click the app icon and you’re good to go. The web apps behave quite similar to their native relatives but can be slightly slower. Personally, I really like the idea of creating a presentation on my Mac and then present it from any computer with an internet connection. All in all, I have to say that I quite like Apple’s iCloud services. For most basic users they come for free and offer a great experience, similar to using multiple Google products. However, I do understand that some people do not want to pay for similar services and would rather go with free options. What do you personally prefer? Share your thoughts in the comments below.